Your facility's cooling towers are essential in transferring waste heat into the air outdoors. However, these structures are also the perfect environment for bacteria to grow. JNB provides clients in our service area with Legionella testing to identify contamination in your cooling tower systems. We are committed to protecting your workers and your neighbors in the community. The environmental health and safety divisions of more and more facilities are requiring a proper testing program for Legionella testing and evaluation for their cooling tower systems. Since cooling towers are open systems to the environment, it is easy for bacteria to be pulled into the systems. Since the cooling water is usually warm, especially in the summer months, this provides an ideal atmosphere for the Legionella propagation. 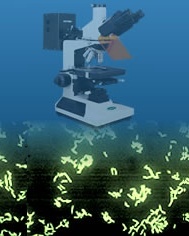 Low levels of the bacteria can be present without the possibility of causing disease in humans (Legionnaire's Disease). Knowing if the bacteria are present, even in low levels, can help you make informed decisions regarding your chemical program. Some facilities still use the "head in the sand" mentality of not testing for Legionella. Instead, these facilities may over-feed biocide to compensate; thus, jeopardizing system components with high corrosion load and increasing chemical costs. JNB typically recommends a Legionella testing and evaluation program that includes two samplings per month in warmer months and once per month sampling in cooler months. We will conduct the sampling on-site and send them overnight to the laboratory. JNB will receive, evaluate, and report on the results and recommend necessary action to be taken.